Forget everything you think you know about the humdrummery of the competitive but me-too echo chamber of the social photo sharing space. While most of the world has gone gaga over faux artistry around filters that make amateur photographers feel like experts, CoolIris' LiveShare team has been creating one of the most intriguing visual platforms I've seen - taking what I already liked about their platform, including a fun way to share photos around events and groups and vaulting into a new world of real-time, with video, shared links, and text updates. The result looks almost magical, even to the cynical observer who thinks he's seen everything. Sitting in on a preview of their new platform, which is expected to become available in the next month or two, LiveShare looks like they've finally delivered on their name, as I saw the company's three cofounders create and share photos, video and URLs instantly between devices, and this content was available for immediate playback and interaction from the receiving party. For all the hype about "real time" and "near real time" and instant, maybe the terms have gotten fuzzy, but if there was any kind of delay, to me it was imperceptible. When one person would hit publish, the item would immediately display on the other device. Multiple photos would cleanly lay themselves out in a sharp grid, and video never even considered buffering. The result is a new platform for real-time visual communications that I haven't seen anyone else attempt, and one that should be available on any modern platform, thanks to adherence to cutting-edge Web standards. "By the time you move your finger from the button, it should show up," said Soujanya Bhumkar, explaining his interpretation of real-time. In an internal note to the LiveShare development team, he wrote: "For the first time, you can capture moments and share them with friends and family with absolutely no delay at all - the instant your finger taps the camera icon your photo or video instantly appears in your personal stream on your phone, iPad and the Web even before the content is fully uploaded. 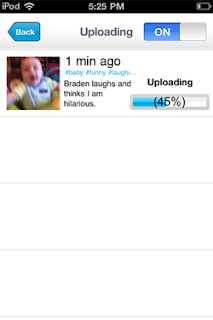 No waiting, no uploading - there is nothing out there in this space that delivers such instant gratification." LiveShare's origins are in the photo sharing space, and the company may be known for its media consumption, but as they said Wednesday, the natural evolution, based on user feedback, is to discover media highly relevant to the individual, and to assign social velocity to relevant people, so that instead of broadcasting to everyone or narrowcasting to a select few, you and your content is discoverable by those interested. "If this is possible, my expectation for what live sharing is has completely changed," said Austin Shoemaker, cofounder and CTO of CoolIris. "No more progress bars and hourglasses. Reality and speed are matched to consumer expectations." The new platform is engineered using WebGL on HTML 5, meaning that on day one, it works in Safari, Chrome, FireFox and Opera. Not only can you passively view content in the browser, but you can drag and drop content from your host PC onto any LiveShare stream and make it an active participant in any ongoing stream. "Consumption on the Web is not a second-class experience," Shoemaker added. One doesn't have to think too hard about the dramatic use case of curating events around topics and locations with the new LiveShare platform, going beyond siloed areas for photos and other siloed areas for texts. As the company promises, they aren't trying to create yet another walled garden, but instead, to fill the gaps that remain in email and social networking. And I'll tell you, even for this Android-leaning geek, the demo of sharing content on the new LiveShare between two iPad 2s was so sleek, it was tempting to jump back on the bandwagon. Make sure you check out their demo video. It'll have you lusting after their new platform - coming soon. Monday's announcement that the Barnes & Noble NOOK Color had launched its application gallery was much anticipated, with leaks and rumors galore over the last few months, as industry watchers have been curious how the eReader would adapt to a world in between the single mindedness of a Kindle and the do-anything catch all of a full-fledged tablet device. Full disclosures up front, due to my role at my6sense, I've known the Barnes & Noble app plans for several months, and our app was included as one of the first to be included on launch day. But as a user who already owns an Android tablet in the Samsung Galaxy Tab and a pair of iPads besides, I was independently eager to get my hands on these apps, and I believe what has been delivered is a smartly curated, less intimidating way to bring the best features of Android to users who don't want to lose the comfort or familiarity of a device centered around reading. As was much covered by the mainstream technology press, the NOOK Color app gallery features more than 100 select applications across a broad reach of categories, with an emphasis on those that would be in high demand by the most active readers. 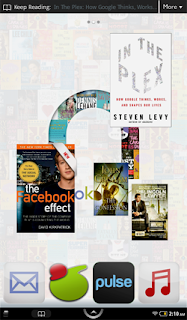 For us, it made sense that those reading books might also want to read and engage with their social and news streams. For others, the option to bring to-do lists, email, comic book apps and more make sense in the intuitive seven-inch form factor. 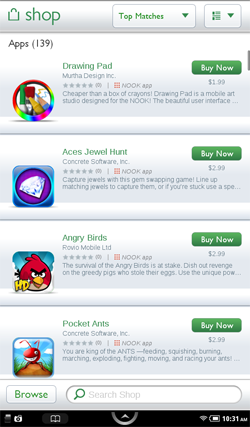 And yes, everybody loves games, and if a device has a screen these days, you know Angry Birds is there. Much like Apple's iTunes store, the app store on the NOOK Color adds applications to a marketplace already designed for more traditional entertainment goods. Instead of music and video titles, magazines, newspapers and books are the headliner, with apps likely to play an increasing role over time. Without a full-fledged Android Market, with hundreds of thousands of apps, every app on the NOOK has a chance to be found, and its not amateur hour. 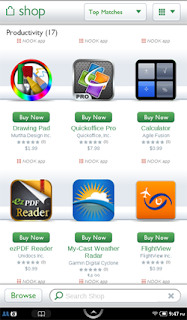 Each app was planned for inclusion well in advance and carries the implied support of the NOOK team. 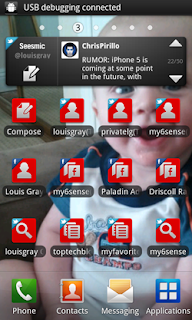 For Android users, the visibility of apps like Pulse, Epicurious and QuickOffice is comfortably familiar. Other titles have never crossed my radar. The addition of a standard email client that supports multiple accounts is also very welcome, eliminating yet another need for multiple devices when I can just close the page on a book (or close an app) and pull up email to both read and send messages, synced with your cloud server. 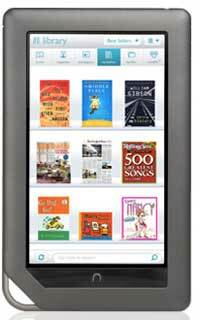 With little fanfare, the NOOK has always also had the option to support your own media, including music files and photos as well, for a light multimedia experience. Those calling for the NOOK to become even more of a full-fledged tablet are trying to make it something it's not really aimed to be - no more than the iPod is trying to be an iPad. The single homescreen button and lacking hard-wired buttons for "Back" and "Menu", common on Android smartphones, takes some getting used to, but functionality to navigate one's library, content and the store is very easy to pick up. The apps each are intuitive, and if they assume back and menu buttons, as ours has, you can emulate that in software. I see the NOOK as a serious hybrid. It's both an eReader and a tablet, but like the Prius, it's not going to beat a Porsche in a speed test for going 0-60. It just quietly does its job, has an amazing battery life, and brings the features you would expect. While the app store is only a few days old, I've already seen my interaction with the device change, transforming from one of passivity, mostly consuming content, to a more engaged role, creating emails, and interacting with new apps. Disclosures: As noted above, my6sense, where I am VP of Marketing, is a launch partner with Barnes & Noble for their app store. Considering the dramatic success of Apple's App Store for iPhone, iPod Touch and iPad, it seems remarkable that at the 2007 introduction of iPhone, the device was not set up for third party native applications, with Steve Jobs and crew suggesting standards-based Web apps were the way for developers to design for the device. A June 2007 press release gushed over secure and reliable apps designed on Web 2.0 Internet standards, but by July of 2008, the App Store launched as part of iTunes, and hundreds of thousands of apps have found their way to iDevices. Meanwhile, the Web Apps directory on the Apple Web site has atrophied, not having updated in nearly five months - while competitors such as Google push for Web app development inside Chrome. The Web Apps directory on Apple.com looks much like the iTunes App store, Mac App Store or other application directory, including the Android Market, with "Most Recent", "Most Popular", "Alphabetical" and "Staff Picks" across many different categories, including "Games", "News", "Social Networking" and others. But if you look at the most recent content, you don't see anything new since December 3rd 2010, and Puck Billiards, posted on November 30th, has enjoyed the exclusive Staff Picks position for the entirety of the duration. 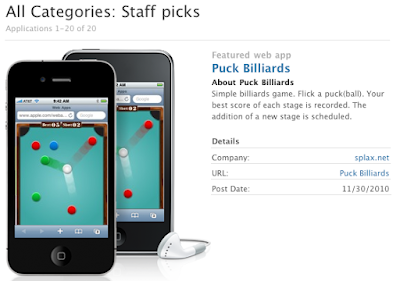 Puck Billiards Has Been Featured Since 11/30/10. Prior to the directory's freeze, staff picks for Web apps were issued every few days. The staff picks page shows other highlighted apps posted November 18th, 29th, 30th, December 2nd and 3rd and then nothing. No mention of a change in status for the directory, or future plans. If you are a developer looking to submit a Web App, you can still do so, or provide feedback to the directory, but it's not completely clear anybody's listening. In contrast to the hundreds of thousands of apps on the App Store, Apple's Web Apps splash page mentions "over 1700 web apps to flick and scroll through", but this page too is clearly in the dustbin of history. The 1,700 number was live as of January 2009 (according to Archive.org), made even more antiquated with no mention of the iPad, referring only to iPhone and iPod touch. iOS has been an incredible platform, an extremely lucrative one for Apple and its developer community. But the silence on Web apps makes it look as if they just walked away. The right thing to do would be to close submissions, shut down the page, and put up a note saying the directory won't be updated. Flickchart, the movie comparison site that has film buffs ranking their all-time favorites, for any decade, genre and many other ways to debate cinema, is inches away from taking Movieweb to court for "a rather obvious duplication of the concept, functionality, user interface, and formatting" of their site. An 11-page legal brief from Flickchart's lawyers to Movieweb, submitted Thursday, alleges theft, infringement and "a complete lack of any attempt by Movieweb to conceal its wrongdoing". The legal brawl was sparked following the introduction of a feature on Movieweb's site called "Face-Off" last Saturday, April 16th, which they called "the coolest movie ranking app yet". 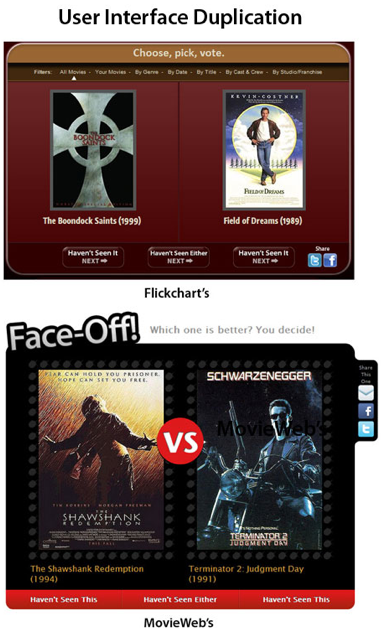 Similar to Flickchart, the Face-Off feature let users rank movies in terms of which they thought was best, have head to head "face-offs" between favorites, and the ability to compare tastes with other users. All of these are features highlighted by Flickchart since the site debuted in 2009. Flickchart's founders, Nathan Chase and Jeremy Thompson, are not taking kindly to the new competition. The next day, April 17th, Chase posted a link to Movieweb's new offering on Twitter, saying, "Well, I guess they say imitation is the sincerest form of flattery, right?" By Monday April 18th, Chase posted a series of thumbnails comparing Flickchart to MovieWeb's Face-off on FriendFeed, the social service aggregator owned by Facebook, and said "we've already contacted our lawyer." The series of thumbnails in that post, and the blog post issued Friday, April 22, draw up a clear parallel in terms of features and display from Flickchart and the new Face-off, including feature set, wording, placement, graphics, social site integration, and more. While it's entirely possible to create a similar site either in parallel or inspired by competition, the direction seems like a clear duplication of the Flickchart service. The legal missive spares little in its wording saying "Movieweb has stolen the fruit of years of work... in such a blatant manner that, quite frankly, shocks the conscience." The filing reports the copying is fed in no small manner by the direct copying by one of Movieweb's employees, as it states "a managing editor of Movieweb registered an account with Flickchart in December 2009, and has logged in as recently as April 6, 2011." This would have been 10 days prior to the launch of Face-off, making any argument that Movieweb was unaware of Flickchart's similar functionality appear dead on arrival. The brief says Face-Off! "would not exist" had it not been for the reproduction, duplication and copying of Flickchart, which violates the site's terms of service. If Face-Off! is not immediately removed from the site, Flickchart anticipates filing suit "to seek statuatory damages, actual damages, punitive damages, disgorgement of Movieweb's profits, injunctive relief and an award of attorney's fees and costs." Deadline was given for Face-Off's removal by 5 PM Pacific time on Friday April 22nd, and that deadline has since passed, with Face-Off! remaining up and running. 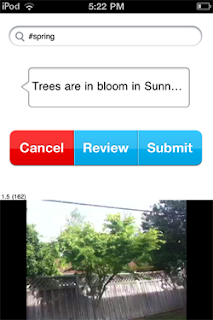 One of the initial attractions for me to the Android platform was the flexibility of the home screens, which don't have to just feature applications in a monotonous 4 by 4 grid, but also the option to have widgets with live streaming content from social media and news sites and shortcuts to actions within applications. Social media powerhouse Seesmic is introducing an upgrade to its popular app today that fully leverages this capability - bringing all aspects of the product to the front of your device. In version 1.7, released this morning, Seesmic introduces shortcuts to compose tweets and Facebook updates, shortcuts to saved searches on Twitter, shortcuts to Twitter lists, shortcuts to Facebook pages, and many more quick links to pieces of their system. 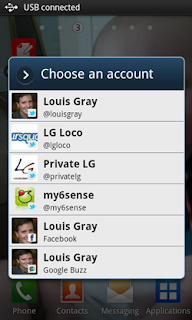 The result is a practical launching pad for all things social from your Android home screen. 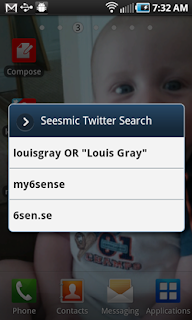 I'd previously sung the praises of Seesmic for Android and Windows Phone 7 at the end of last month, and for the last month or so, I've eschewed the standard Twitter for Mac client in favor of Seesmic Desktop 2. Today's introductions show that Seesmic is doing more than just porting their iOS experience to Android, as some developers have, but embracing the OS and providing functionality users really want. Once you've upgraded to Seesmic 1.7 on Android, adding these shortcuts is really easy. 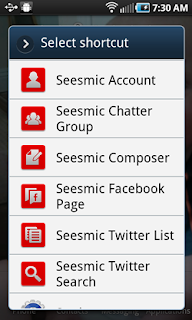 Select the menu button on your device, hit Add, choose shortcuts and pick from the many options Seesmic has. The app will recognize what accounts you use, what lists you follow, what saved searches you keep and what Facebook pages you maintain. Repeat the process until you've got as many as you like. I managed to fill an entire screen just with my Seesmic. 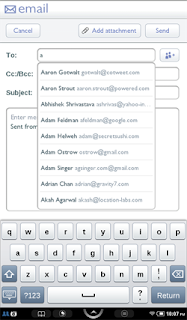 You can grab the latest update from http://seesmic.com/products/android or by searching for Seesmic on the Android Market, and don't miss their great YouTube intro of the new features, which go beyond just shortcuts to include improved spam reporting, translation and link handling, from Liza Sperling. Physical Media Has To Go. I'm Digital Only From Here. Moving across town last summer was a real eye opener in terms of seeing how tied we still are to physical things. Beyond all our sundry items needed to survive, there were boxes upon boxes of nice-looking and possibly interesting books and other media - DVDs, CDs, the occasional VHS tape nobody had bothered to toss. All of them took up room, and made for heavy lifting. But there's no real good reason, beyond nostalgia, to ever get any more. I want all my music, photos, videos and books to be electronic, and I want everything else gone - even if it looks great on the bookshelf. Same goes for my kids. Once they're done with their board books, I want them to get used to eReaders. By the time they reach school, textbooks should be relics of the past anyway. Thirteen years ago, Apple did away with floppy drives on the iMac, ushering in a world where people did well enough to email items via attachment, or in later years, burn copies to compact discs. Ten years ago, I dumped my hundreds of cassette tapes in the garbage moving from one home to another on the Peninsula. Three years ago, I donated hundreds of my CDs to a coworker who liked the same music, and emptied my bookshelf to another friend who didn't mind dog-eared Stephen King and John Grisham novels. Even DVDs are too unwieldy at this point. For software installations, one installs once and the DVD is subsequently irrelevant. Purchasing DVD movies is completely silly in a world with significant storage space, and Blu-Ray never even entered my mind. Now practically the only physical media I bump into is when a book author wants me to do a review, or when coffee table books are passed along as questionable gifts. Even USB flash drives are starting to feel like old media to me at this point. In a world where I am constantly connected to some gadget, be it a phone, a tablet or a laptop, it takes serious will power to unplug and dust off an old tome whose number of uses is limited. The books I've been sent to review are piled in a corner on my desk - some probably good, but I might even buy the digital version rather than lug around a heavier three-dimensional copy. The stray Netflix DVD we have around the house just causes me to nag my wife into making our subscription digital only, and everything else I just want to give away in a massive garage sale - cheap! The long-desired paperless office remains elusive, but for much of the home, it can be obtained. My music is streamed on Spotify, with some playlists and artists saved as digital files. My movies have a short shelf life, typically the 24 hours allotted by Apple TV before they disappear. And I've been reading all my books on the NOOKColor and on the Google Books app. There was a time when people would argue it was worth paying a premium for the physical copy of an item, but now it seems they should have to pay me for the inconvenience. Being digital only means that exceptions to the rule can fall through the cracks. Bills delivered in the physical mail don't get paid as quickly. Notifications from the DMV can get missed, and late fees occur. It's a problem that hasn't been perfectly solved, and it could just be me making an excuse. But as I see it, if there's an option to go digital, that's my choice. With bandwidth and storage space being what they are, my infrastructure isn't optimized for yesterday's media delivery. Sonos, the company behind the futuristic wireless digital audio players throughout my house, announced the introduction of their long-awaited Android application this morning, bringing multi-room music management to the fast-growing mobile platform. In addition, the company also expanded its iOS offerings by adding support for AirPlay to its iTunes equivalent, enabling Apple fans to send audio from any AirPlay enabled app to Sonos speakers, including YouTube. While it was no secret that Sonos had planned to launch on Android, having featured heavily in Google's Android booth at Mobile World Congress in Barcelona, the beta process for the Android app took a little longer than anticipated, thanks to some services' issues with buffering and ensuring a high quality experience over the expanding range of Android devices. 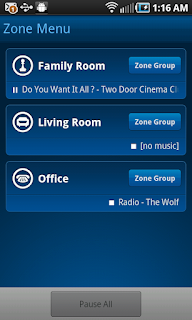 Since February, I have been using Sonos on my Android phone and Galaxy Tab to put all my favorite music on any room in the house whether it's just for me in the office, or in full Party Mode for guests throughout. 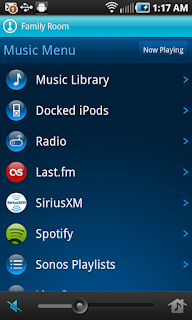 As with its iOS equivalent, Sonos pulls from a wide array of musical sources, including Spotify, Last.fm, Sirius XM, Rdio and others. The sheer capability of demonstrating Spotify on Sonos, and showing people how I can get practically any song in the world, on demand, to any room in the house, has left people begging to have the capability themselves. Today's announcements brings that to even more tempted audiophiles. While I can't go as gaga as Robert Scoble over the future of AirPlay, sending audio from any playing music or video stream on the Web to Sonos speakers is another nifty trick. 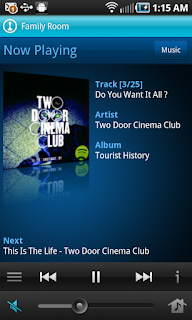 Imagine picking up a YouTube video, a streaming sports game, or simply an embedded MP3 on a Web site and kicking it out of your tinny laptop speakers, in exchange for full-featured Sonos. There's no reason you shouldn't always be using the best speakers in the house. Android users can now go get, for the first time, the official Sonos build from the Android Market. iTunes users should watch for their devices to gain point upgrades later this morning. No doubt unperturbed by Liz Gannes' panning of their "Flap On, Flap Off" branding, Flapon introduced itself Monday morning as a life-stream integrated social network aimed to help people find each other based on similar interests and shared topics. The approach, previously tried by the now-defunct Simler, Socialmedian and others, hopes that people's collaboration around mutual interests will encourage positive relationships, and enable people to share insights that bring value to other members of the community. The main area of Flapon is referred to as the Stream. 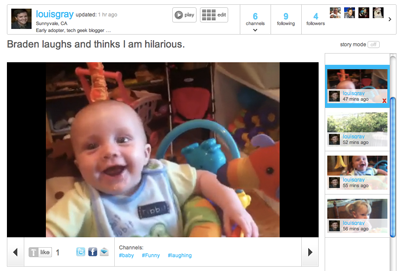 The Stream is comprised of "Flaps" from users on any topic. Essentially, the alpha version presents the public stream of all topics in the central space. Each Flap can be slugged with multiple topics, each of which can be clicked to find other discussions on that topic. And while you can add many different topics to each Flap, and be quite creative in your choice of tagging, Flapon comes bearing a full library of topics. 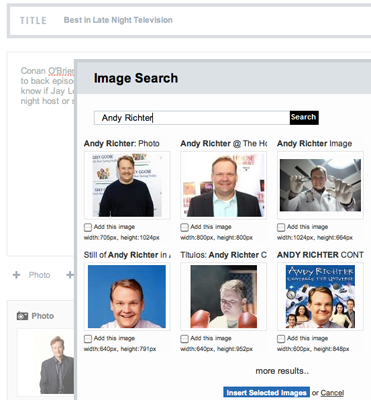 This aids in creation of new content - for example, if you post on Conan O'Brien and want to tag the post as "Comedy", start writing, and like Google Instant, it autopopulates a list of options. Each item is self contained, getting its own permalink, with statistics on reads, as well as the option to vote posts up and down. You can comment on the original Flap, or reply to extend the conversation. Unsurprisingly, you can click on the profile of each Flap author to gain their bio, and Flap history. If you try hard, you can think of it as being Quora-like, without any leading questions. You just post what you're thinking, tag it, and keep going. In its infancy, you of course won't find answers to every query. Searching for "Baseball" lands a single post on amazing facts. The phrase "Social media" has many dozens, reflecting the service's earliest users. Assuming one of the core cruxes of social networking is social, it's likely only the bravest of cutting edge early adopters will find themselves posting to Flapon instead of the more popular destinations. The tagging of content is good, as is discovery of new posters and immediacy of feedback, such as posts and views. Addition of photos to each Flap is pretty simple as well, as you can pull from Google's massive image search repository. If you want to get flapping with Flapon, just head to http://www.flapon.com to check it out. Maybe you'll enjoy the option of talking in more than 140 characters again, or you'll like seeing a public stream in its infancy stages. Apple is not taking the war on iOS lying down. Bleeding from the wounds of a thousand cuts courtesy of the knives from the wide-ranging Android ecosystem, the company is taking on Samsung in the courtroom, targeting the Galaxy series of phones and tablets, just over a year from their initial suit against HTC, months after they sued Amazon for their App Store naming and six months after they sued Motorola for their use of multitouch. It's getting a little busy in Cupertino's legal counsel these days, and without suing their current nemesis, Google, outright, Apple seems to be throwing their significant market weight around. Despite being outnumbered, there's no question they believe they have both might and right on their side. An early flashpoint in the return of Steve Jobs to Apple was the agreed upon cessation of legal wrangling with Microsoft over the famous "look and feel" lawsuit that claimed Windows had borrowed heavily from the Macintosh. Of course it had. But it was legal, thanks to shoddy early contracts. In the announcement of the stopped legalities, Jobs famously said, "We have to let go of the notion that for Apple to win, Microsoft needs to lose.'" The ensuing (no joke) 13-plus years have put Apple in the driver's seat versus Microsoft in may places - in market capitalization, and leadership on music players, mobile phones, tablets and sheer brand desire. Microsoft didn't lose, per se, but they didn't have to get the verdict handed down from the courts. The verdict has been handed down in the world of public opinion and choice of quality products that saw the Zune dismissed as a joke and Windows Media become an also-ran, with CEO Steve Ballmer being a lightning rod of futility. But this time around, Apple is the front-runner. They have market muscle, they have clear differentiation and leadership in hardware and software. They have an amazing app store with high quality software - a combination that is practically unmatched, even as Android has passed Cupertino by in numbers, and quality improves rapidly. This time around, they are not being loose with their contract work, patenting everything under the sun - from the implemented to the theoretical, and they are backing up those patent claims by taking on their competition directly. They refuse to go down without a fight. It took Apple to change the way the world interpreted smartphones. 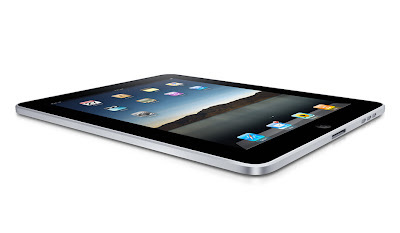 It took Apple to introduce a successful tablet. It took Apple to turn the tide against peer to peer free file sharing and to a legitimate music and video store. In the years following their leadership, iTunes has in some ways been lapped by Spotify and other offerings. Android's flexibility means there are many choices in handsets which look remarkably like the iPhone. 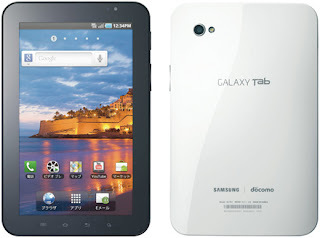 The Galaxy Tab, my tablet of choice, comes in sizes the iPad doesn't. But the volley of lawsuits smacks of preemptive desperation, not from a company in trouble by any means, but by one that wants to make sure it won't ever be. In March of 2010, former Sun CEO Jonathan Schwartz wrote a post, titled, in a nod to Jobs, "Good Artists Copy, Great Artists Steal". In the post, he claimed that Apple going after the competition raised their visibility and relevancy to the market. "Having watched this movie play out many times, suing a competitor typically makes them more relevant, not less. Developers I know aren’t getting less interested in Google’s Android platform, they’re getting more interested – Apple’s actions are enhancing that interest." I can't say that more users and developers are flocking to Android directly because of Apple's moves, but it is wearing down on the good will that Apple has fostered with the general tech community. In a world where Apple has forged its own path, going practically partner free, owning their own pace and great margins, the rest of the world has been expected to choose a side opposed to their own - be it Android, be it Samsung's BADA OS, be it Blackberry or Microsoft Windows Phone 7 (see Nokia). By choosing to compete with Apple and to develop solutions that mirror the iPhones of the past, it's left them open for such courtroom drama. At this point, I probably have nearly as many Samsung devices in my home as Apple devices. 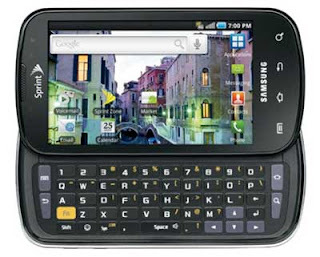 From the Galaxy Tab to my Galaxy S powered Epic 4G phone on Sprint and our TVs, I'm looking at Samsung logos many hours a day. So this particular lawsuit doesn't exactly give me the fuzzy feeling that Apple is going to enable a great electronics manufacturer to provide solutions users want. At my last startup company, the market incumbent sued us immediately following the acquisition of patents they had gained through buying a dying market pioneer. The intent of the suit, which was baseless, was to prevent us from raising a $47 million D round, and to thwart our momentum. The lawsuit was a major distraction for years, and damaged our ability to sell to customers, until it was dismissed years later. I've seen the big market leaders come after the challengers to try and protect their turf, and it has me wary. I can't defend copying and a lack of innovation, but I hope customers don't suffer as the Valley goes to court. There is no one perfect home entertainment gadget. No single gadget manages to record all your favorite shows on demand, has access to the deepest online library for new and older titles, syncs perfectly with services like Netflix and finds all the Web's video at once. Devices ranging from set top boxes like Apple TV, TiVo, Google TV, Roku, and Boxxee, and game centers including the Nintendo Wii, XBox 360 and Sony Playstation, and single-purpose devices like the Slingbox have been working hard to make our entertainment consumption world ideal, but each has its strengths and holes. In our home, we've tried to fill all the holes, and this requires multiple devices, each one finding a perfect niche that can't be replaced by an alternative. We moved beyond the traditional VCR/DVD world in 2003 with the arrival of our first TiVo DVR -a series one. Since then, we added two newer boxes, the TiVo HD device and the TiVo XL, the bigger brother of the HD, with a terabyte of storage. While the Premiere line of TiVos emerged last year, it wasn't compelling enough an upgrade to make the move, but we're very happy with the pair we have. In 2007, with Apple's release of the first generation Apple TV, we snapped up a 40 gigabyte model, which is in use today. Last year, I also picked up the newest model Apple TV, which is stream centric. Meanwhile, last month, after some delay, I added Google TV to the mix with a Logitech Revue. Having seen it panned by much of the tech press, and the multiple demos I'd received falling short, it took some hands-on testing at a local Best Buy to push me to bring it home. So with all these boxes and companion remotes, how do I choose what to use? Like I mentioned last May with mobile phones, you have to look to the core of each device to find their specialty. For the Apple TV, the product's strength is its tie to the iTunes store, specifically, the vast video library which contains more new releases for rent or purchase than alternatives. Google and TiVo have close links to the Amazon video store, but the experience has never matched that of iTunes. When we want to rent a movie for an evening, or purchase a video for my kids to watch (like Toy Story or Cars), it's on the Apple TV. For TiVo, the product's strength has always been around its ability to time shift videos and record my favorites. A companion benefit is its show guide and search, to find future shows and set them to record. 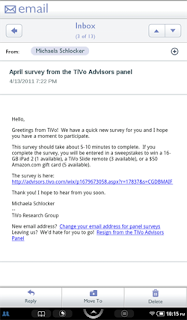 The TiVos upstairs and downstairs run our scheduled programming, and having tried crappy DVRs from Comcast, Dish and others, there's simply no parallel to what TiVo offers. For Google TV, the device is Web centric, much like Android, of course, and most things Google touches. There's something fun about browsing the Twitter app on the full screen, browsing Web sites, and enjoying YouTube on a screen much larger than a laptop. Tired of my kids running into videos on YouTube with the iPad that weren't exactly my favorite, browsing YouTube myself with them in the room puts me back in control and reduces their digital ADD. 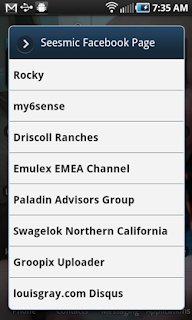 Another much-overlooked feature of Google TV is the ability to browse what's on, automatically sorted by genre. Like most of you with kids, being stuck with baskets of laundry is made much easier when watching something entertaining. Yesterday, owning this task, I checked what movies were on, found Knocked Up just started and amused myself through three baskets of whites and colored laundry. It's similarly very good for finding out what sports are playing anywhere on the TV dial. Is Google TV Any Good? I Say Absolutely. As the Google TV is the newest gadget for us, and I've covered Apple TV and TiVo many times before, it's worth saying how good the experience has been. Reading scads of reviews that slammed its utility, or the keyboard remote, I was very surprised how easy it was to setup and how immediate its benefits were. I was most concerned that putting the Logitech box between the TiVo and TV would somehow impact the TiVo's ability to schedule recordings. This turned out not to be a problem at all. The keyboard remote was as simple as any other laptop keyboard, and the Home key always puts me to home base, the center of applications, what's on TV, and is the conduit to browsing the Web. Even more futuristic is the ability to use any Android device as the remote control with the Google TV app. There's some fun to using the Galaxy Tab as the remote control, with part of the app's screen space devoted to playing the role of trackpad. If you haven't done it, surfing the Web from the tablet to the big screen is pretty cool. Obviously, each experience could improve some. The Apple TV doesn't know anything about live TV and doesn't have Safari running on it like Chrome does for Google. Google TV makes no attempt to record shows, even though it knows they're on. Meanwhile, the TiVo doesn't really know the real Web exists, despite tie-ins on Premiere with Web widgets and third parties like Netflix, Amazon and Blockbuster. But in our home, if we have an entertainment need to fill, we have a box to do the job. PR around the Google TV has been pretty light since its initial launch, and one could guess that maybe we'll hear more about the product at Google I/O in May, the one year anniversary of its introduction. Maybe new hardware and TVs will be announced, or new content partnerships, after months of hearing that sites (like Hulu) want to keep Google out of their kitchen. TiVo is due for a big upgrade that maybe makes me update the older boxes. And Apple TV only really gets talked about when you hear rumors that Apple could go the true television route and release an HDTV line. They've certainly got the relationships with suppliers, and the best UI team on the planet. But if you know what you want out of TV, Google TV, Apple TV and TiVo all have a fit and each one brings value. So don't get caught up the tech news grumpiness you find elsewhere. Considering how inexpensive each device is, you just might get all three. While most my news consumption comes through RSS (Google Reader), Twitter or on my phone (using my6sense of course), the New York Times home page is one site I still visit directly, and with some regularity. With their recent move to limit free access to the site to 20 articles a month, I haven't given it much thought - until yesterday, I saw I started to get little warnings that I had 2 articles remaining of my free 20, then 1, and then they were all gone. But as others have pointed out, there are so many holes in the Times' paywall, it seems to be an impotent approach, a limping attempt to squeeze much-needed revenue into the flagging old media giant. One of the biggest holes in the paywall is that of Safari - the Apple Web browser that ships on every Mac, and is available for Windows as well. Without having to resort to any browser shenanigans, all Mac users have to do to read any of the New York Times' articles after the 20 articles are consumed is hit the "Reader" button in the location bar. While the New York Times begs you to pay up to read the full story, Apple extracts the text and repaginates it for you in a clean way - the entire article, whether you've paid or not. The battle between publishers and news applications has been a push-pull tug of war between innovation and traditional media ownership. One has seen clashes with Flipboard and Pulse as two of the most recent examples, with Pulse even getting sued by the New York Times right after their mobile reader app launched on iPad last year. But technology always seems to win. For every half-baked scheme to force readers to pay for content they expect is free, technology finds a way around it, whether intentional or otherwise. Considering Apple's extensive market weight, and Cupertino's highlighting of the New York Times in Steve Jobs keynotes, commercials and other features, I don't see the Times screaming at Jobs to get this particular circumnavigation fixed. It's just another thing it looks like the Times people didn't think about when they tried to force their most loyal (and even occasional) readers like me to pony up. If you're a Mac user who has switched to Firefox or Chrome, this is one place where Safari has a leg up, so if you hit your limit on the NYT, just open up a second browser.